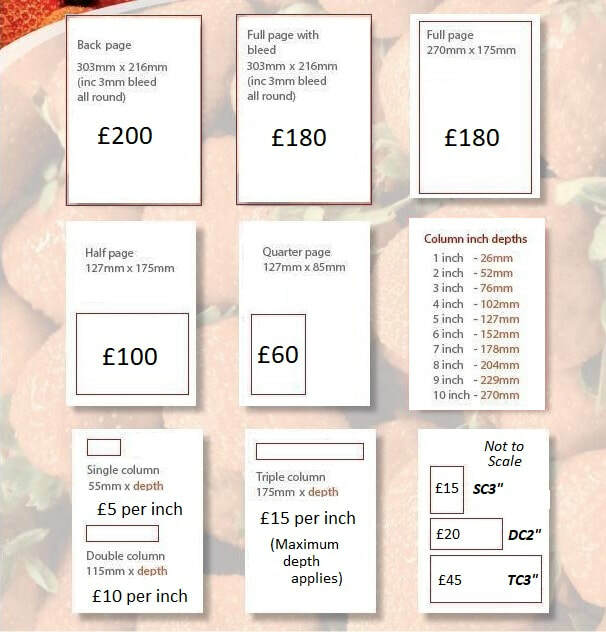 We're a full colour A4 publication publishing on good weight of paper and offer sizes in fractions of pages (1/4, 1/2 and full), as well as in single, double, and treble column sizes per inch of depth. Give us a call if you've something even more creative in mind. We don't have a charity rate - apologies.